A rich, tasty mix of whole walnuts, sweet Guara almonds, and Negret (a local Catalonian variety) and Tonda Giffoni hazelnuts, from organic growers in France and Spain. 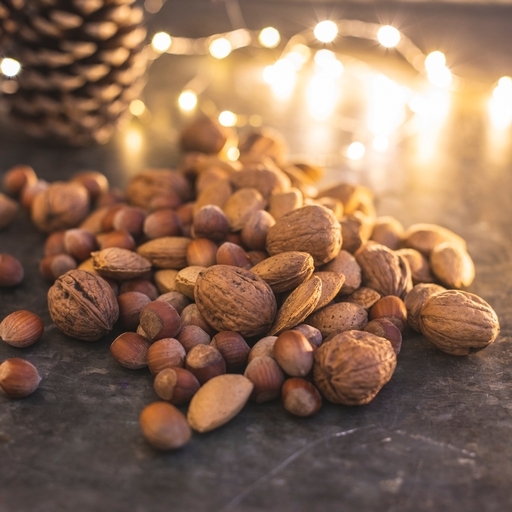 They’re the perfect festive nibble: settle into the sofa with a glass of wine, grab an old-school nutcracker, and get munching. Lazy winter’s evening sorted! Grown in Spain and France.